This new relationship allows owners and prospective buyers at Four Seasons Residence Club Vail to experience Delta AirElite's private jet Fleet Membership program by the hour. Delta AirElite is making their Fleet Membership jet card program available for purchase on an hourly basis to potential buyers at Four Seasons Residence Club Vail, offering the opportunity to experience this convenient travel solution during visits to and from Four Seasons Resort Vail. "This thoughtful arrangement allows our owners and prospective owners to begin the pleasure of their vacation before arriving at Four Seasons Residence Club Vail," said Jeff Meier, senior director of sales and marketing for Four Seasons Residence Club Vail. "The convenience of private jet access creates an experience ideal for our discerning buyers during frequent travel to Vail, direct to the Vail Valley Jet Center. The opportunity offers a luxurious experience and flexibility - both important factors for our owners." "This new relationship is a natural fit for Delta AirElite and the selective individuals who enjoy the Four Seasons quality of life," said Mike Green, president and chief executive officer of Delta AirElite. "Through this cooperation between two world-class brands, Four Seasons owners and potential buyers can experience firsthand the high value our Fleet Membership jet card program affords, as well as the comfort and convenience of our award-winning service." Four Seasons Resort Vail, located in Vail Village, features a 121-room resort, 19 fractional Four Seasons Residence Club residences sold at 1/12 interests for a total of 228 interests, and 16 private residences. 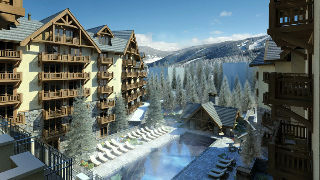 The property will be the first Four Seasons in Colorado and only the third mountain resort in the collection. It is scheduled for completion in late 2009. The Delta AirElite Fleet Membership jet card program is normally available in increments of 10, 25, or 50 occupied flight hours. With pricing for the 10 hour card starting at $43,900 for the light jet category. 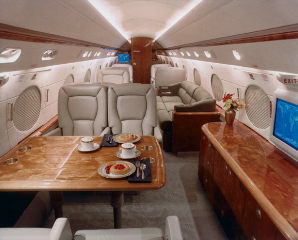 The fleet includes a wide variety of aircraft from Bombardier, Gulfstream, Hawker Beechcraft and Cessna. The Vail Valley Jet center is located at Eagle County Airport in Eagle, Colorado, about 30 miles from downtown Vail - and it's a quick 30 miles all along I 70. Several of the destination clubs also have partnerships with private jet companies, but there are not many other residence clubs that have so far taken this partnership path.